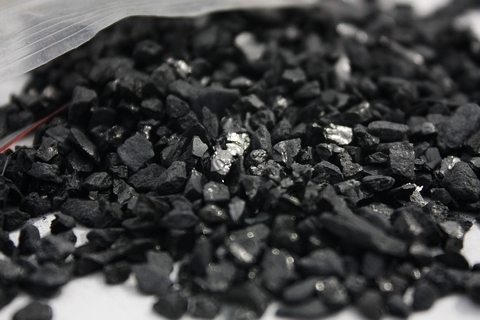 Activated carbon black coconut shell amorphous black, non-toxic, odorless, hole construction, large surface area, strong adsorption capacity, high durability characteristics. – Activated carbon coconut shells made of high quality materials, have developed a lot of pore structure for the purpose of increasing absorption capacity. Activated carbon coconut shells for drinking water filtration have a great performance, not only removing odors in water but also removing toxic substances in water such as chlorine, phenol, mercury, lead, arsenic, Cyanide, detergent, pesticide, strong removal, for electric power, chemical industry, is an ideal material for producing high purified water. – Activated carbon black coconut shell amorphous black, non-toxic, odorless, hole construction, large surface area, strong adsorption capacity, high durability characteristics. – Widely used in various types of water purifiers, gold mining, catalyst fields, cigarette filters, fish culture, solvent recovery, air purification and bleaching. , citric acid, alcohol filtration and purification.